How can you not love the spirit and optimism of these children? Just check out the little girl’s smile! 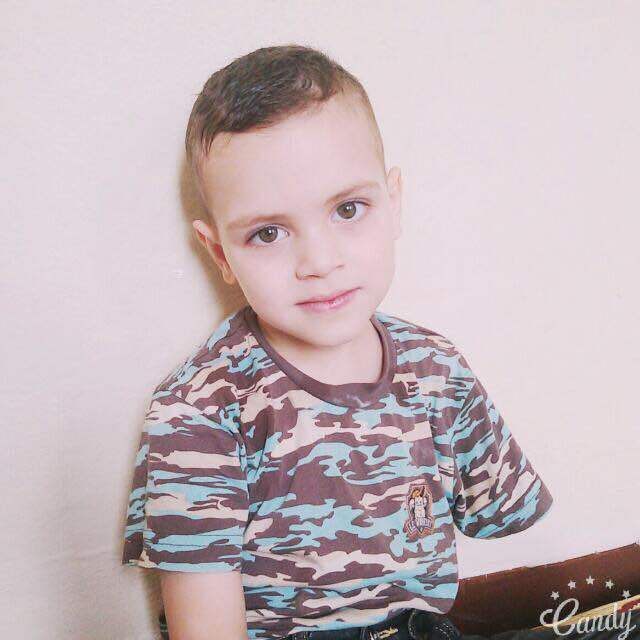 This entry was posted in About Palmyra, Amputees, Syrian Children, Videos and tagged About Palmyra, amputations, amputees, Syrian children, war injuries in syria on May 25, 2016 by palmyrarelief. An excellent video, from the New York Times website, titled “Syria’s Wounded Generation,” shows a medical after-care center near Turkey’s border with Syria, where civilians and combatants recover from life-altering injuries. 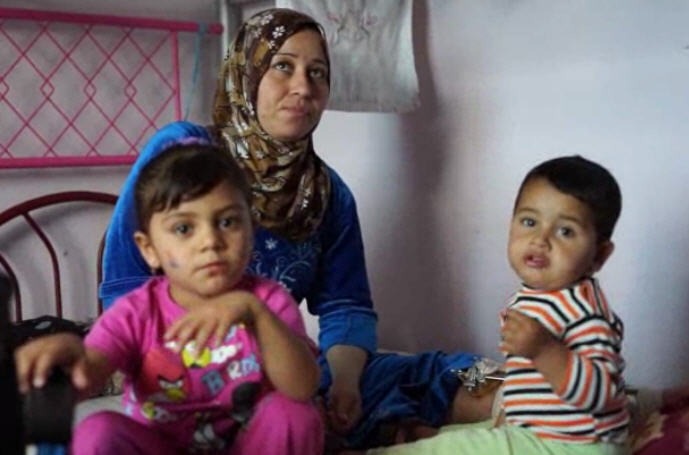 The Times’s Mac William Bishop spoke to casualties of Syria’s brutal war. This entry was posted in Humanitarian Aid to Syria, Medical Care in Syria, News Coverage of Syria, Refugee Crisis - Syria, Syrian Children, Videos and tagged amputations, doctors in Syria, impact on children, medical care in Syria, Turkey, war injuries in syria on March 12, 2014 by palmyrarelief. 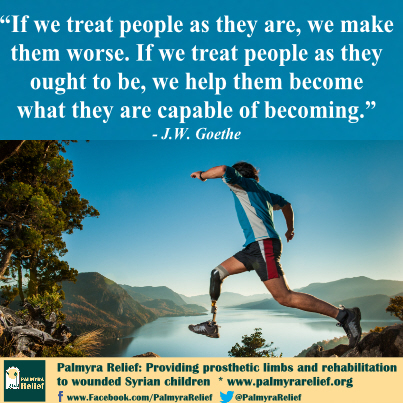 This entry was posted in About Palmyra, Amputees, Humanitarian Aid to Syria, Medical Care in Syria, Photos and tagged About Palmyra, amputations, humanitarian aid, prosthetic limbs, war injuries in syria on February 28, 2014 by palmyrarelief.